April Spit n’ Glitter; Queer Punk Party! We took a little break, but we’re BACK WITH A BANG in April on a new night! 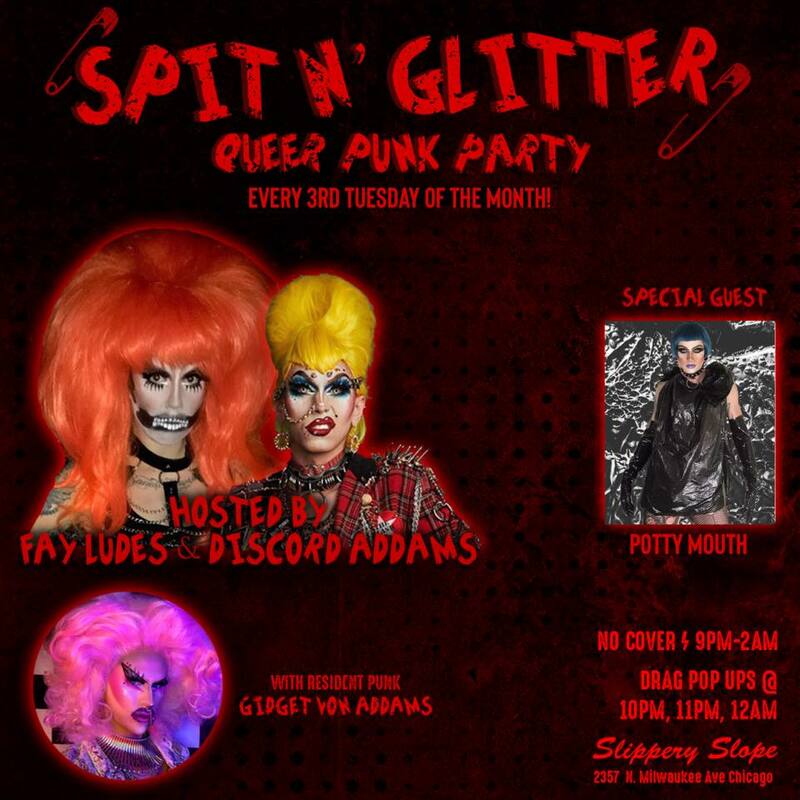 Join your hosts Discord Addams and Fay Ludes, plus resident punk Gidget von Addams, as they welcome special guest Potty Mouth for a night of drag punk pop ups!? Punk rock tunes all night from DJ Johnny Walker.